The society was established in 1806 by Major Murray Belshes of Scone as a means of allowing the gardeners from mainly the large estates in and around Perth to exchange ideas and techniques in a convivial atmosphere and to display their horticultural talents by competing in areas such as cut flowers, flower arranging, pot plants, bulb growing, fruit and vegetables. 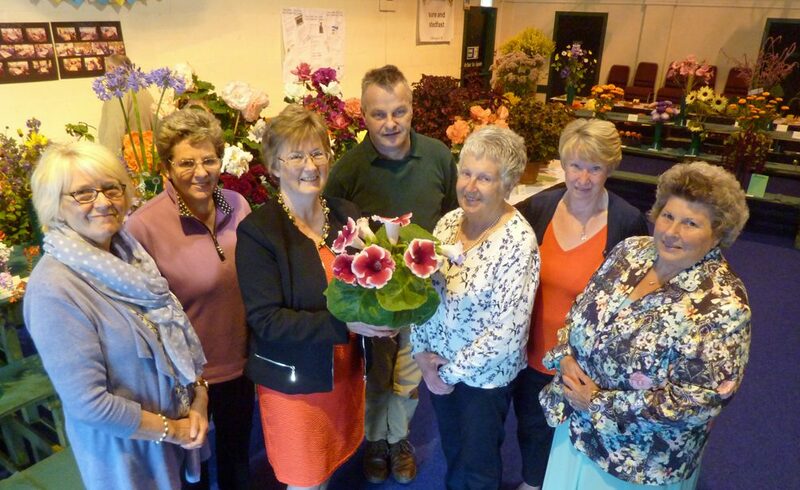 Affiliation to the main RHS, recognition from Perth Council and local employers added prestige to the organisation. For over 100 years the exhibitors and Directors were exclusively male, although they did allow the ladies to provide refreshments during their Shows! Meetings were formal and concluded with the passing round of the ram’s horn snuff box. Many prestigious trophies were presented to the Society and are still competed for today. By the Centenary in 1906 membership was open to any gardener in the local area and gradually was expanded to include members and exhibitors from beyond the local area. A junior section was added to encourage horticultural interest in local schools and by individuals. By the middle of the 1950s the ladies had decided to form the RHS of Perthshire Floral Art Club and gradually became more involved in the running of the Society. Over the years many talks, garden visits and workshops have taken place as well as a Spring Show and Summer Show each year. Many of these shows were held in the City Hall moving to the Concert Hall in the Bicentennial year in 2006. Rising costs moved the Society out of town to the present venue in Bridge of Earn Institute in 2008. The Society , now referred to as Perth Horti, continues to evolve and aims to offer any keen gardener the opportunity to meet with like-minded individuals. Gardening experiences and expertise are willingly shared with less experienced members.